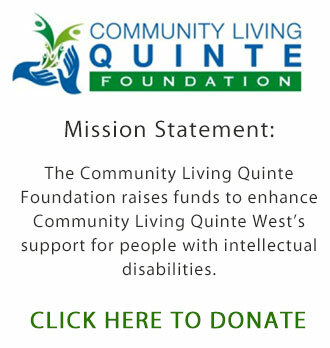 Commuity Living Quinte West is very grateful and appreciative of the different people, companies, and organizations that have chosen to support people with intellectual disabilities. We thank you for your promotion of this agency, your sponsorships, and donations for our fundraising activities. The individuals we support have more opportunities to access their community because of your support. Thank you. As a way to say thank you we are listing them here with their contact info or a link to their website.